Photo submitted to Times Observer Draw the Line, Aerosmith tribute. 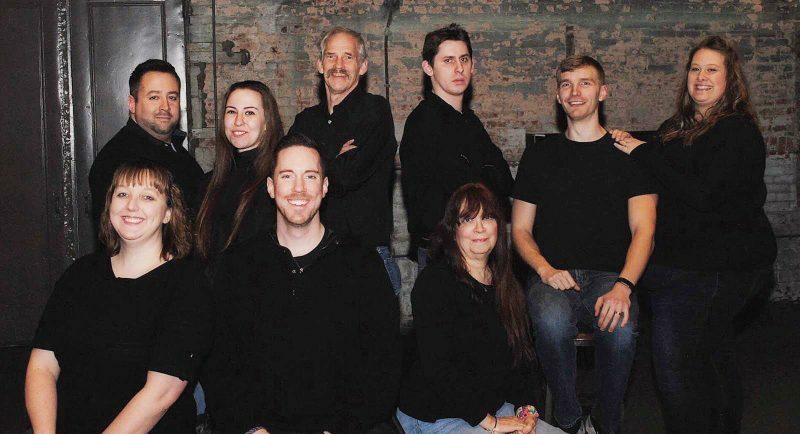 Yankee Bush Productions’ first show of the 2017 season will be Draw The Line, which will perform their Tribute to Aerosmith at the Struthers Library Theatre at 8 p.m. Saturday, April 8. 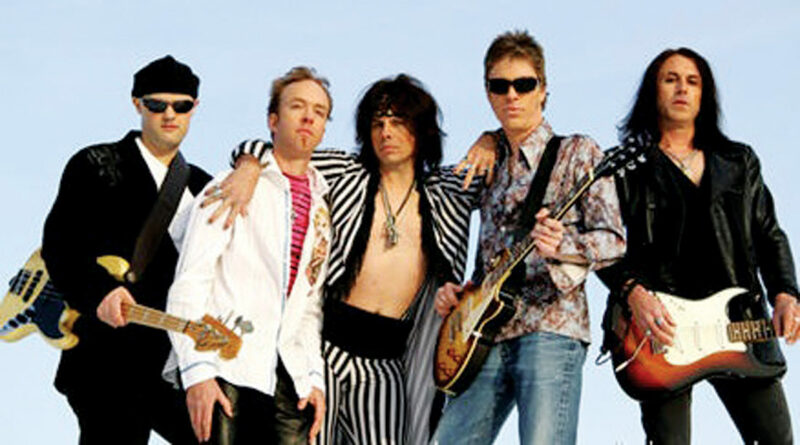 Draw The Line is the world renowned Aerosmith Tribute Band hailing from Boston, Mass., same as the original Aerosmith. For 15 years these talented musicians have honed their performance into an accomplished act performing over 2000 concerts all over the world. “A professional show band in a league of their own amongst tribute acts and of a caliber that is unparalleled in the tribute genre,” reporter, Joe Reardon of the Mariner Newspaper Group said. At 8 p.m. Saturday, May 13, Crescent Beer will sponsor Seven Bridges’ performance at the Struthers Library Theatre. You’ll get goosebumps when they sing “Seven Bridges Road” acapella. Seven Bridges: The ultimate Eagles experience is a stunningly accurate tribute to Southern California’s most famous musical group, The Eagles. Comprised of six talented musicians, each bringing his own style and flair to the group, Seven Bridges is intent on delivering a near replica of a live Eagles performance that is so precise, so intense, and so believable, as to be mistaken for the masters themselves. Come enjoy the Eagles’ greatest hits, “Take It Easy,” “Desperado,” “Hotel California,” “Heartache Tonight,” “New Kid in Town” and more. A Seven Bridges show is suitable for music lovers of all ages. This fall, Yankee Bush goes AC/DC once again with the world’s No. 1 tribute to AC/DC, HELLS/BELLS. They will perform at the Struthers Library Theatre at 8 p.m. Saturday, October 7. For 20 years and counting HELLS/BELLS has toured over 42 states, 50 weeks per year. Enjoy all the hits of the other two singers: Bon Scott: “It’s a Long Way to the Top (If You Wanna Rock ‘n’ Roll),” “Whole Lotta Rosie,” “Highway to Hell,” and Brian Johnson: “Hells Bells,” “Back in Black,” “For Those About to Rock” and more. Yankee Bush’s final show of 2017 at the Struthers Library Theatre will be a Tribute to Ozzy Osbourne by The Land of Ozz, at 8 p.m. Saturday, Nov. 18. At the center of The Land of Ozz is Stephen Desko and his amazing ability to recreate the look and sound of Ozzy. Stephen will make you think you are hearing and seeing Ozzy live in the ’80’s and ’90’s. His vocal range, tone and appearance are so close to Ozzy, it really is incredible. Everyone knows that Ozzy is famous for collaborating with some of the world’s greatest guitarists. To create an accurate and worthwhile tribute to Ozzy, a world-class guitarist is required. Enter 17-year-old guitar prodigy Matt Stanley. Yes, he’s just 17 years old, but Matt recreates the exact note for note leads and guitar sounds that are such a huge part of Ozzy’s songs with the same feel and technique as Randy Rhoads, Jake E. Lee, and Zakk Wylde. This kid delivers the riffs and leads exactly as they were recorded. The rest of The Land of Ozz consists of professional musicians, Mike Stanley, Matt’s father, on rhythm guitar; co-founder of Get The Led Out, Paul Piccari, on bass; Philadelphia’s top rock musicians, rock drummer, Tommy “Stewart” Staszewski and on keyboards, Mike “Viv” Vivial. The Land of Ozz show focuses on the classic Randy Rhoads era of the Blizzard of Ozz and Diary of a Madman albums as well as some gems from the later Ozzy periods and even a few Black Sabbath tunes as well. Come experience Ozzy hits like “Mr. Crowley,” “I Don’t Know,” “Diary of a Madman,” “Crazy Train” and more. All Yankee Bush Productions’ shows are reserved seating, so for the best seats get your tickets in advance. Tickets for all YBP’s shows are available in Warren at the Struthers Library Theatre Office, 302 West Third Ave.; Virg-Ann Flower Shop, 224 PA Ave. W.; and in Lakewood, N.Y., at Wing City Grille, 273 Fairmount Ave.; or by calling (814) 489-3110. Walk-ins are welcomed.